As warmer weather sweeps across the U.S. studies have revealed that crime, too, begins to spread. Burglars seeking easy targets are quick to notice a door that is open to the elements and may make a note of that house as a future target. The number of garage break-ins balloons each spring and summer, as warmer weather means more opportunities for would-be burglars. When an action as simple as shutting your door could protect your home and family from intruders, make sure you check your door before heading inside. While burglars are uncommon in most areas, wildlife is not. In most cases, your garage door is your home’s first line of defense against various wildlife that is looking for food and shelter after a long winter nap. Leaving your door open invites these critters in, and you can expect they’ll be making themselves at home! Further, many rodents — mice, rats, and bats — tend to burrow through small crevices in your garage, finding their way inside. It’s bad enough having to deal with wildlife in your garage: imagine mice making a nest in your living room! It’s expected that some wildlife might find itself in the more rural garages, but there are plenty of measures you can take — between traps and better sealing on your doors — that can help prevent the hordes of unwanted visitors from coming in and finding a new home. However, your first step should always be shutting the door when you’re not around to keep watch. Of all the rooms in your homes, your garage and your kitchen are the two most likely to result in a fire. In your garage, flammable liquids — such as engine oil — and moving machinery can combine with sawdust and paper recycling or scraps to increase your home’s fire hazard. And while shutting yourself in with a fire seems like the opposite of what you would want, an open garage door can make a small fire much, much worse. Fires feed off oxygen, and when a garage door is gaping wide, the cross-breeze can help fan the flames, turning a small, contained blaze into a house-burning inferno. By closing your garage door, you limit the amount of oxygen available for the fire, potentially stopping it before it gets too out-of-hand. Additionally, a closed door will help prevent a fire from spreading to the outside of your house, or to trees, shrubs or houses nearby. While a gentle spring breeze is much-needed for dispelling the winter funk in your garage, leaving your door open after you return from work — and forgetting to close it for hours — can lead to serious repercussions. 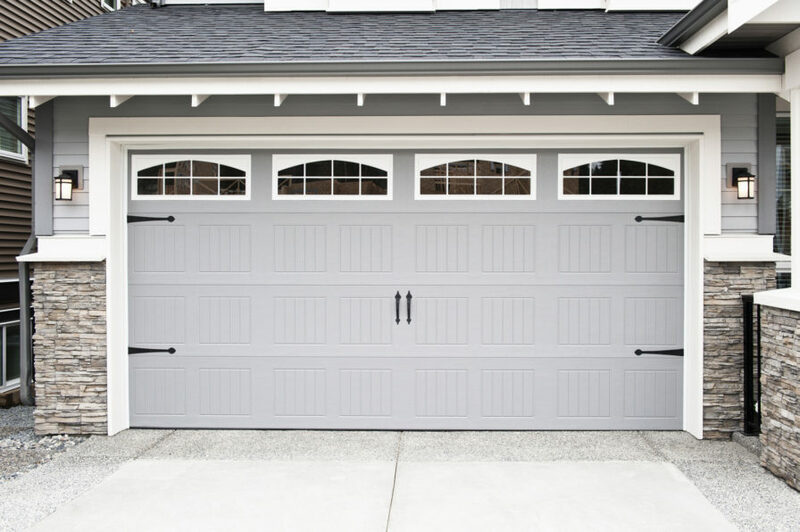 Making sure you leave your garage door closed should be your priority as winter temperatures give way to the warm spring breeze. Remember to give Affordable Garage Door Inc. a call if your garage door is having trouble.